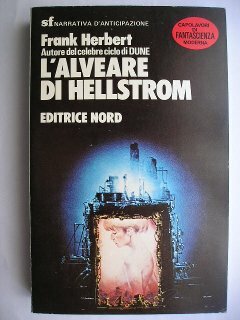 The novel “Hellstrom’s Hive” by Frank Herbert was published for the first time in 1973. The author is inspired explicitly to “The Hellstrom Chronicle”, a film shot as a documentary in which a scientist named Nils Hellstrom explains a theory that the insects will eventually become the rulers of Earth thanks to their adaptability and their ability to reproduce rapidly. In his novel Frank Herbert starts with the idea of the film but creating a human hive exploring some of his favorite topics: the evolution of humanity and the relationship between biology – both in terms of the influence of instincts over human behavior and the influence of chemicals on humans – and society. James Benjamin Blish was born on May 23, 1921 in East Orange, New Jersey, USA. In 1968 he moved to Oxford, England, where he worked until his death in 1975 from lung cancer. He’s famous for writing the Cities in Flight saga, the novel “A Case of Conscience” and many other space travel and colonization stories. He also wrote many Star Trek novels and anthologies. 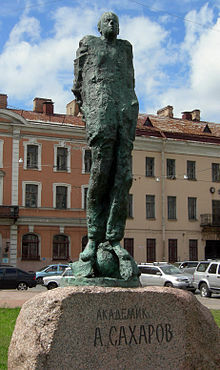 Andrei Dmitrievich Sakharov was born on May 21, 1921 in Moscow, then in the USSR. He took part to Soviet nuclear program and seeing the weapons power helped him to develop his activism against atomic proliferation. In 1975 he was awarded a Nobel Peace Prize. After acquiring Novell, Attachmate has now formalized the appointment of Nils Brauckmann as president of the new SUSE business unit. The company also affirmed its commitment to SUSE products: the Enterprise packages, the openSUSE project, SUSE Studio and SUSE manager. On May 19 the IPO for the professional social network LinkedIn will start. Trading will take place at the New York Stock Exchange and the symbol of the company will LNKD. 7.84 million shares will be sold at a price per share between $32 and $35 so at the end of the IPO LinkedIn should be valued around $3 billion.